Today we are excited to be starting a new series on road trips with kids. The following post on a California Central Coast road trip was written by Carolina. Carolina’s son claims he hates long road trips, but she has plenty of photographic evidence to prove otherwise. When she is not busy exploring the Western United States with her trusty eight-year-old companion, she is busy writing about it at her blog, Kids Go West. With 450 miles of some of the most beautiful coastline and hillsides in California, the area between San Francisco and Los Angeles creates the perfect setting for a family road trip. There’s so much to do that you could easily stretch the road trip out over a week. But less time on the road, means a more affordable family trip, so I’m going to give you some ideas for how to cruise California’s Central Coast in just three days. Many would claim, that if you’re driving the California Coast, you should do it along the famously scenic Highway 1. Those people probably haven’t endured a drive with a crying baby, a vomiting toddler, or an impossibly whiny child. If your family can endure the winding two-lane highway, then by all means take that road less traveled. My suggestion is to stick mostly to Highway 101, which will still take you through some beautiful scenery, and then pick and choose when to hop on Highway 1 since the two highways meet up multiple times. heaven. Here you can take your kids to visit the sea otters and jellyfish at the world-class Monterey Bay Aquarium. 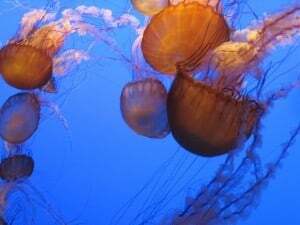 If you can drag the kids away from the aquarium, rent some bikes or walk along the coastal trail that leads south to Pacific Grove or north to Fisherman’s Wharf (grab some clam chowder in a bread bowl while you are there!). The Dennis the Menace Playground is also an excellent option for those kids that need to burn off some steam with its multiple play structures and giant locomotive to explore. 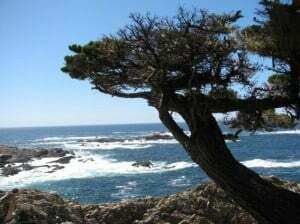 Want advice for places to stay in Monterey from parents in the know? Be sure to read about family friendly lodging in Monterey Bay. Here’s where you make the big decision: you can head along Highway 1 past Big Sur all the way to Cambria, or you can go back to Highway 101 to Pismo Beach. If you take Highway 1, you will want to hike at Point Lobos State Reserve or Pfeiffer Big Sur State Park and make a stop at Hearst Castle. 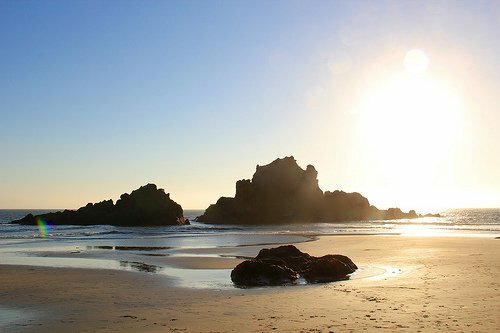 If you take Highway 101, you will want to spend some time exploring the sand dunes or pier at Pismo Beach or hiking along the coastal bluffs of Montana de Oro State Park. Excited about a road trip down to Pismo Beach but don’t know where to stay? 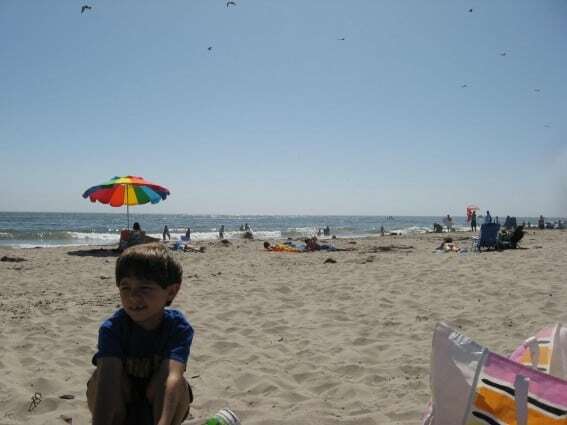 Check out family friendly lodging in Pismo Beach. 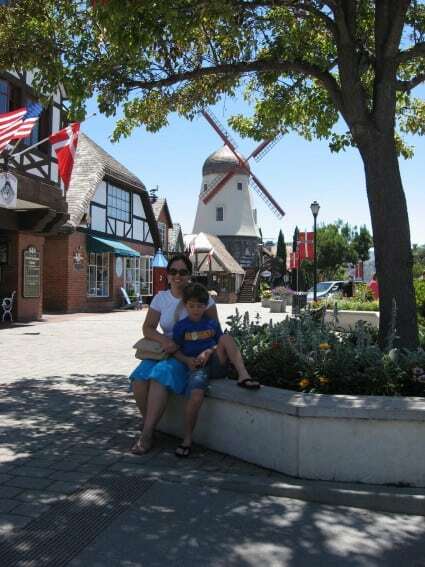 Solvang for some ebelskivers treats. The head a bit further south to Santa Barbara. In Santa Barbara, you can spend some time cruising with your bikes along the beautiful coastal trails, with a stop at Chase Palm Park for a picnic and a ride on the carousel. Your kids will also enjoy a stop at the Santa Barbara Zoo. 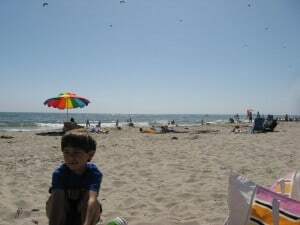 For the final stretch of road into Los Angeles, Highway 1 and 101 merge and hug the Southern California coastline with plenty of beaches such as Carpenteria State Beach and Pt Mugu to stop and take a stretch. My tip is to always have a beach bag packed and ready in the trunk. Play your Beach Boys tunes on the stereo, roll down the windows, and ignore the whining coming from the back seat. You’ve just earned yourself a California cruisin’ license. Check out the Trekaroo site for more recommendations on hotels, restaurants and kid-friendly attractions for your California Dreaming road trip. Did you make it all the way down to LA but don’t have a clue where to stay? Check out family friendly lodging in Los Angeles. Superb post highlighting all of the wonderful aspects of the California Coastline. LOVE IT! Fabulous post. I’ve done this trip twice and now that I live in Monterey, frequently do short day road trips to see the various sights we missed. It truly is a beautiful area and there is so much to see and do along the way. Wow. I JUST started planning our summer family road trip route from Carlsbad, CA to Washington, alone the coast & found this post while looking for something else on Trekaroo! It’s like you just knew I was going to need this 🙂 I’m familiar from the trip from SF up North, but know little to nothing about southern CA. I’m looking for a nice way to get past LA. We are country bumpkins & nothing makes my husband more crazy than city traffic. I want to stay close to 101 or Highway 1, but I don’t want to deal with the HWY 101/I-405 interchange area. Is there a way to skirt LA & pretend it doesn’t even exist? lol If so, I would love to hear about it. I’ll be checking back, or can any helpful person email me at: leig hbra @ gmail . com? No spaces, blah blah. Thanks guys! 😀 I’m so excited for this trip, and it’s not even for another 3 months! One of my favorite, most breathtaking drives in the entire country! I love Highway 1… it is the only way I’d make that trip! Absolutely stunning. I LOVE the drive from San Fran to LA. Long and at times agonizing (depending who you are driving with!) can also be incredibly beautiful and fun all at once. One place you have to stop off at on the way to LA is Santa Barbara. Gorgeous beach town and it’s a great place to spend a day or two if you have the time. I’ve done it a few times and each time was so much fun. We stayed at the Sandman Inn (www.thesandmaninn.com). Really affordable (especially if it’s quick stay!) and in a great location, incredibly close to everything you want to experience in this town. Other towns to for sure see would be Paso Robles during the summer time and their state fair. So much fun! Hey man, was just browsing through the internet looking for some info and stumple across your blog. I am very impressed by the information that you have on this blog. It shows how good you understand this subject. Bookmarked this site, will be back soon. You, my friend, ROCK!!! So many great stops between San Fran and LA. To begin, both those cities are amazing so it must be sad to leave one and exciting to reach the other. Don’t let the long stretch of nothing fool you, the rolling hills of wine are something special and Santa Barbara is a great stop off point if you want pristine beaches and great shopping. The South Coast Inn (www.goleta-hotel.com) is so elegant and close to the beach and there is just no passing up this place! Class all the way!